This report on the FVA AGM contains a copy of the Chair’s Report for the year 2010-11 and a copy of the Minutes (unadopted as yet) of the meeting. Membership: we now have 60 members. Shoreside: On 5th May, Sue G and Kath D had an informal meeting with Andrew Hutcheson of North Shore Estates, the new owner of Tigh an Loan. Village concerns and issues were discussed. The site has now been renamed Shoreside. Village Survey: JL has recorded all properties in the village on a hand-drawn map. This is enabling us to ascertain the number and ownership of all properties. There are 105 properties on the map, and approximately one third are second homes/holiday homes. Broadband: In August, SG and LL attended a meeting in Kenmore organised by HPCP. Andrew Muir, who has advised Fearnan on its broadband service, gave a presentation. Felix Gibson of Network by Wireless was also present. An application for LEADER funding for a feasibility study and pilot scheme for the area was made, but turned down. Post-box: Kate Howie was contacted for support in our attempts to get another post-box but she failed to get any response from Royal Mail. LL has tracked down a supplier of second hand boxes that can be purchased, and also has a contact in the Post Office who may be able to help. It is possible that if we purchase our own box and maintain it, we may be able to persuade Royal Mail to collect from it. This needs further investigation and further contact with Royal Mail in Edinburgh. Photographic Exhibition: The opening of this permanent exhibition took place in Fearnan Hall on Saturday October 16th. There was a short ceremony for invited guests at 2p.m. then the Hall was opened to the public from 2.30 – 5p.m. The calendars were a huge success and, with reprints, 175 were produced. Apart from a few that were gifted, all were sold. We were left with a small, unsatisfied demand but the numbers were insufficient to warrant another reprint. Main Issues Report: various meetings were held between November and February to explore the impact of these initial proposals on the village. A response was sent on behalf of the FVA, and notes were circulated to assist with individual responses. Social: Coffee Mornings have continued on a more or less monthly basis and are much appreciated and enjoyed by those who come. The Summer BBQ was enjoyable but slightly less well attended this year. The Pudding Night was a great success, as ever. Communication – an important function of the Association is our ability to contact people quickly by email, leaflet drop, notices on the noticeboards etc. If necessary, we can cover the whole village relatively easily. This was a major contribution to the success of the Heartstart events which teach emergency life support while waiting for professional medical help to arrive. We now have 26 Heartstart trained people in the area. Representation: FVA is represented on the Community Council, the Loch Tay Association and the Hall Committee. This engagement, along with the giving and gaining of information and the practical support we get from those organisations adds to our value to the community in Fearnan. Minutes of the FVA Annual General Meeting held in Fearnan Hall on March 5th 2011 at 2 p.m. Welcome: Sue Gardener (SG) opened the meeting and welcomed everyone. Minutes of last meeting­: the minutes of the AGM on April 15th 2010 were taken as read and adopted by the meeting. no enforcements by PKC had been implemented and no action taken by PKC. The court case Anand v Grindley is still with the Sheriff. It was reported to the meeting that pigs had recently escaped from the farm and made a nuisance of themselves in the village and sheep are wandering into gardens. Post-box – it was agreed that LL should pursue his contacts to acquire a post-box. SG to contact Royal Mail to see if they have any objections to us installing our own box; if they will empty it; who would be responsible for its maintenance and what costs, if any, might fall to the FVA. Election to Committee – SG proposed that Neil & Fiona Ballantyne be elected to the committee because of all the work they had done on behalf of the Association. Motion seconded by Joan Miller and carried unanimously. Community Council – SG informed the meeting of imminent changes to the CC. i.e. the proposed resignation of the Chair and the Secretary/Treasurer and asked for people to consider volunteering to represent the village. There was no immediate response. Web Site – FB outlined her ideas for an FVA web site. The meeting was broadly in favour but there was some discussion about what form the site should take. It was agreed that a blog format was the simplest to start with. 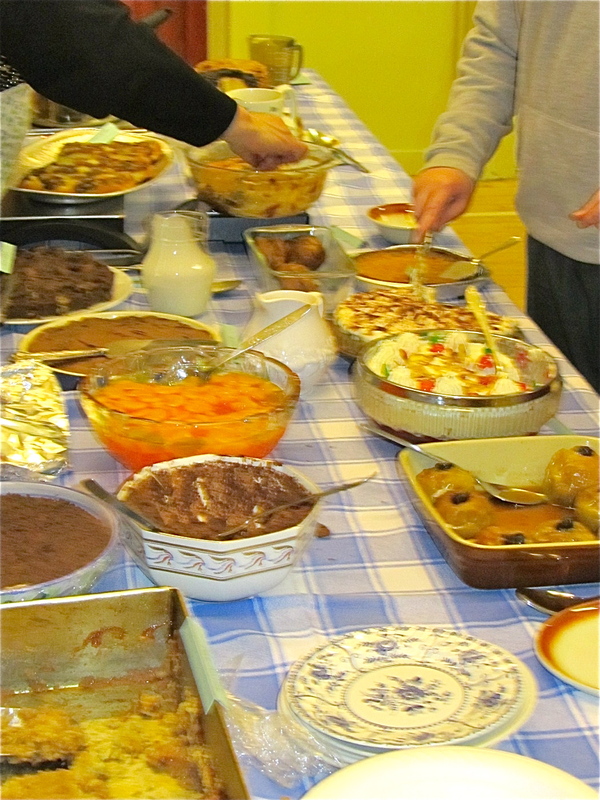 Social Events – It was agreed that Coffee Mornings, Summer BBQ and Winter Pudding Night continue. Peter McK suggested a musical evening along the lines of Desert Island Discs and he will give it some more thought. LL proposed a Curry Night. Fraser McL. asked if it was possible for the Killin Drama Club to make a return visit. SG to follow up. JL asked if Coffee Morning dates could be set for the coming months. Date for next Coffee Morning – March 29th. Cemetery Wall – it was brought to the Chair’s attention that the wall of the private cemetery on Quarry Rd. had collapsed in part. SG to have a look and take up with Community Council. Archive – I.McG has accumulated archive material and proposed that SG keep it on behalf of the Association. This was agreed. 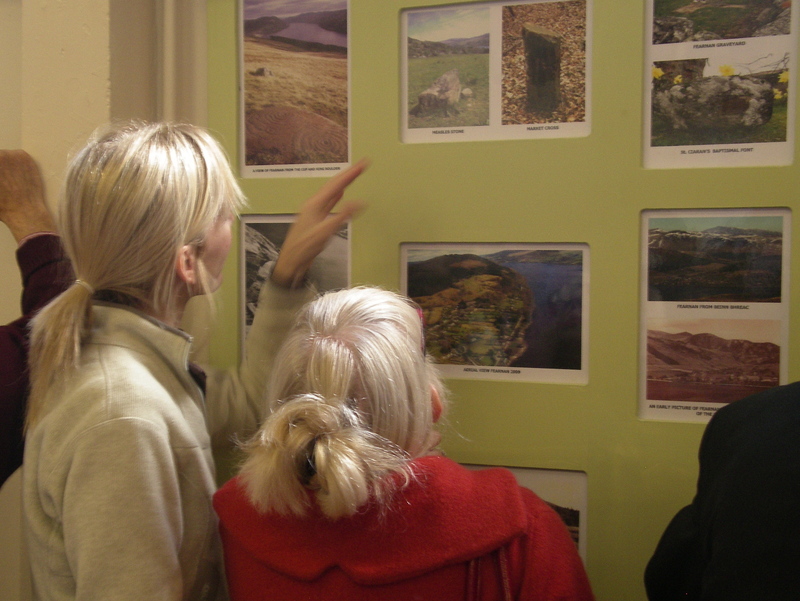 Photographic Exhibition – I.McG proposed that another board of photographs be put up in the Hall. JL to ask Hall Committee for their agreement. Notice Board – JL pointed out that the security fencing at Shoreside was covering the notice board – SG to contact Andrew Hutchinson. Keith Brockie, Peter McKenzie and Sue Gardener would form a sub committee to take the proposal forward. The competition would be judged by those attending the Summer BBQ. The competition prize is the inclusion of photographs in the 2012 calendar. Promotion will begin at the Coffee Morning. Calendars to be ready for sale at the Craft Fair in September.